This elegant 3/2 Natchez PREMIER home is move in ready. 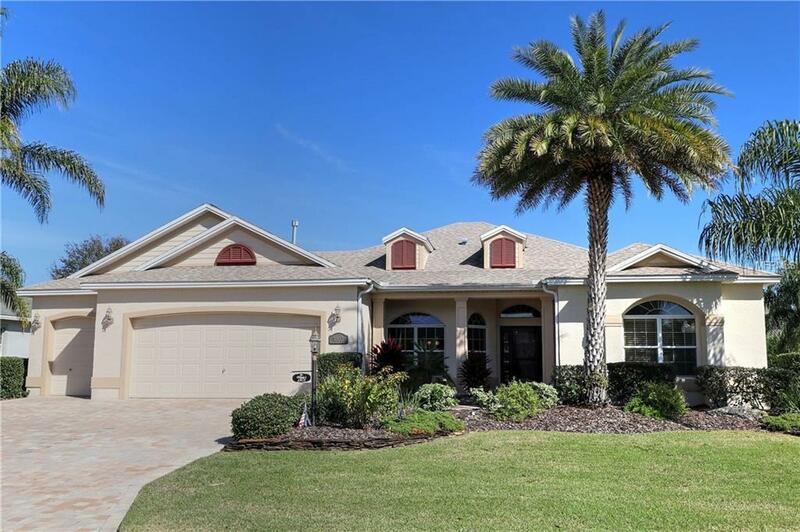 Located on a quiet cul-de-sac in the desirable village of Bridgeport at Lake Sumter, this home is CENTRALLY LOCATED close to Arnold Palmer Country Club and golf course as well as Lake Sumter Landing. Lush landscaping and driveway/walkway pavers combine to produce fabulous curb appeal. In the kitchen you will find granite counter tops and beautiful bisque cabinets with a cherry "bead" inlaid at the top molding. 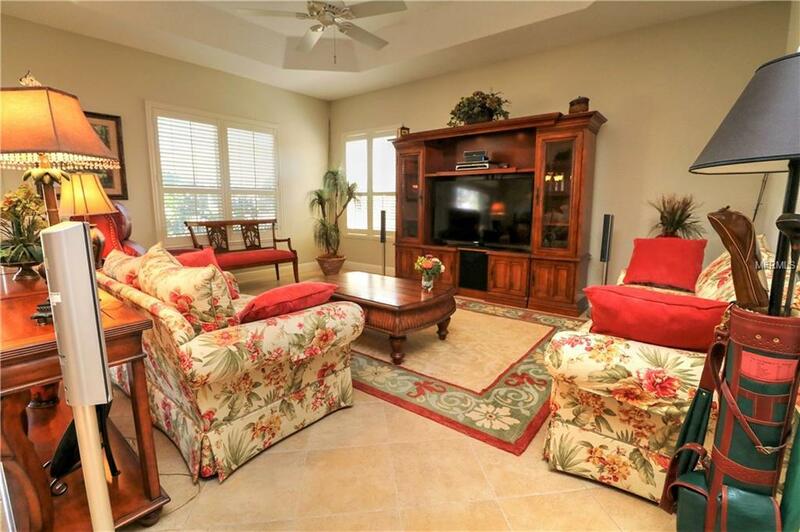 The main living areas feature ceramic tile on the diagonal and a tray ceiling in the living room. The master bedroom features a tray ceiling and engineered hardwood floor. The master bath has dual sinks and his/her walk-in closets; her closet is customized with built-ins. There are plantation shutters in all rooms except the back bedroom and many of the faucets and shower fixtures have been updated. 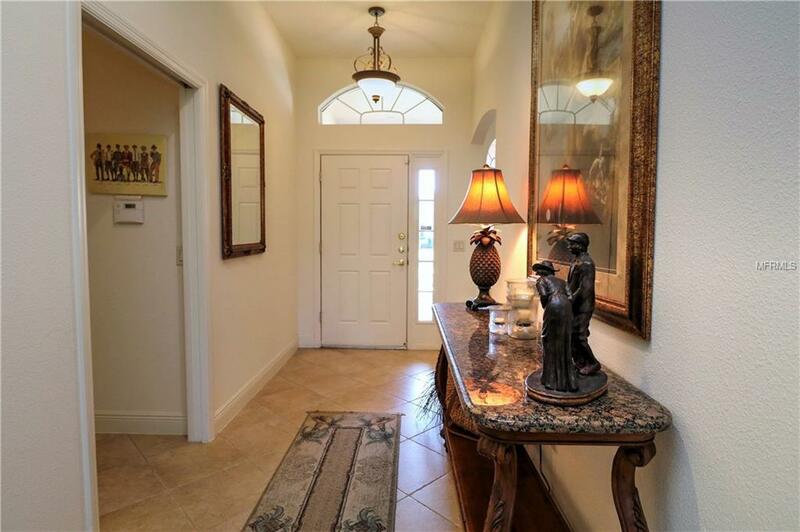 There is a large lanai and birdcage with pavers overlooking a peaceful WATERFALL to enjoy. The outside was recently painted; a new roof was installed in 2014 and a new A/C in 2017. 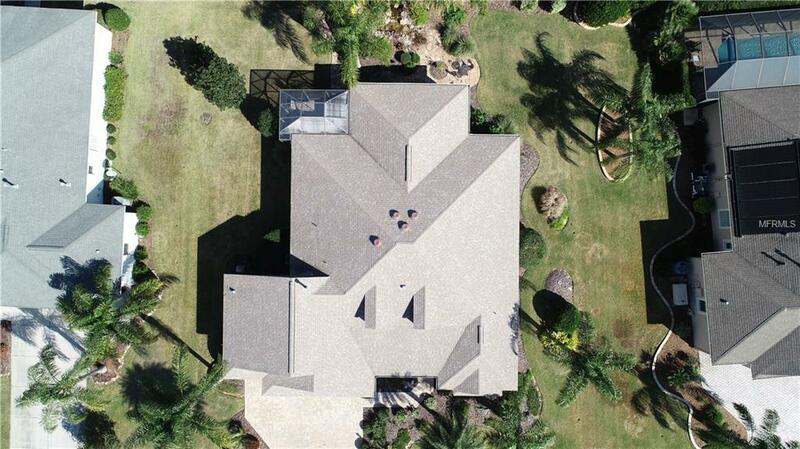 This lovely home has an open split floor plan. The furniture is available. The remaining bond balance is $23,887; annual maintenance is $1122; annual bond payment is $2476.